The guides made the trip. It was very nice of you to accommodate my vegetarian needs! This was the most fun vacation I have ever been on! It was great to have a worry free vacation and not have to think about any logistics or planning. Everything seemed fun and spontaneous and I know that requires planning on the part of the guides. They took all the hassle and worry out of the trip and just let me have fun, fun, fun. I’d do it again in a heartbeat. 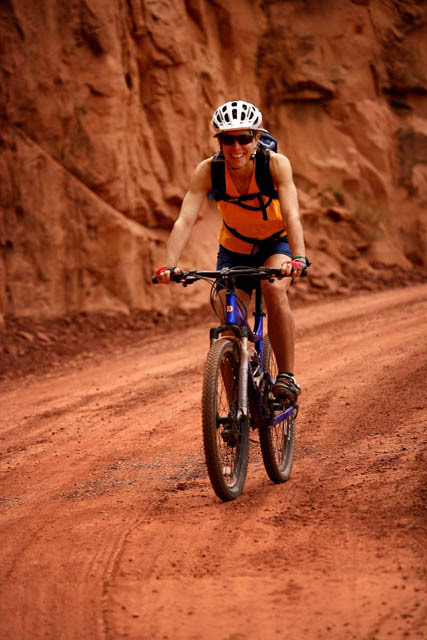 The White Rim Trail is your perfect opportunity to bike through Canyonlands National Park. Join us on a fully supported tour, and enjoy a worry free experience places like the “Island in the Sky”. Make sure to add this trip to your bucket list. Enjoy the stunning views of the Colorado and Green Rivers as you stand 1000 ft above the confluence.